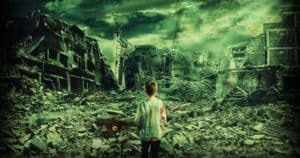 We can go approximately 3 weeks without food before dying. But, let’s be honest here: I get cranky and tired after going without food for even half a day! That is why I think it is so important to add some survival food to your Bug Out Bag (aka Go Bag). 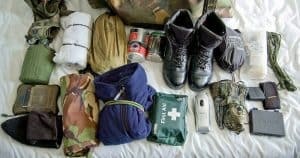 A Bug Out Bag is meant for your survival, so each item should be chosen with care. 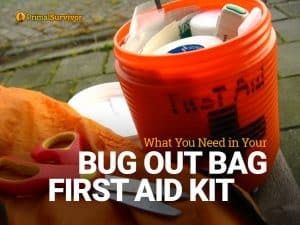 This includes the food for your Bug Out Bag. Here are the requirements I have when selecting Bug Out Bag food. You obviously don’t want heavy food items in your Bug Out Bag. But choosing lightweight foods isn’t a solution either. What you want to look for are food items with a high caloric density. This means that they have a lot of calories for their weight (calories/ounce). An ounce of fat contains 240 calories. An ounce of protein contains 100 calories. And an ounce of carbohydrates also has about 100 calories. So, fatty foods are good options for your Bug Out Bag food. 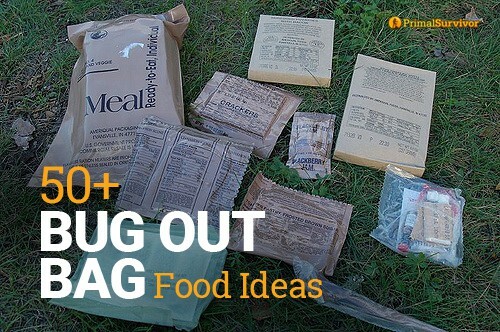 *Read this post for ideas on how to cut weight from your Bug Out Bag. Caloric density is calories per ounce. Size refers to the calories per volume. You don’t want a lot of large, bulky items taking up space in your BOB which you need for other important items. This requirement is debatable. I know a lot of thru-hikers who don’t give a damn about nutrition. For example, I know one hiker who practically subsists off of Pringles because they are lightweight and have massive amounts of calories. He hikes for weeks at a time, whereas a Bug Out Bag is meant for about 2-7 days of travel. However, for me personally, I know that I don’t do very well when I eat junk foods. Eating sugary foods (which includes starchy foods) causes blood sugar levels to spike and then quickly drop. You definitely don’t want your energy levels to drop when you are in an evacuation situation (adrenaline can only fuel you for so long). 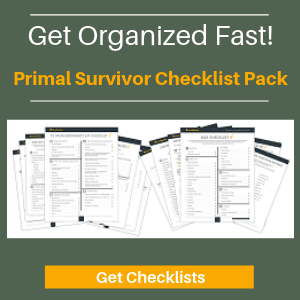 The best Bug Out Bag foods for sustaining your energy levels are proteins and fat. They keep your blood sugar levels more stable so you don’t get energy spikes and subsequent drops. In an evacuation situation, you won’t have time to stop and cook a meal. 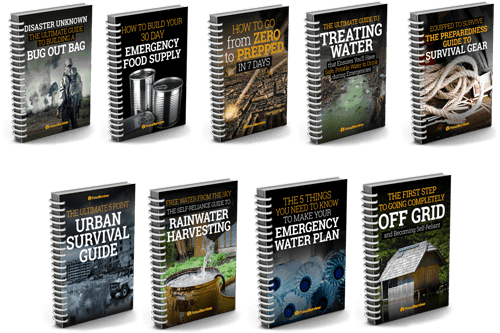 So, your Bug Out Bag food should be ready to eat and require no preparation. 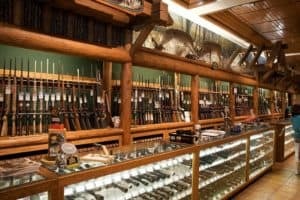 No one wants to check on the contents of their Bug Out Bag every week. 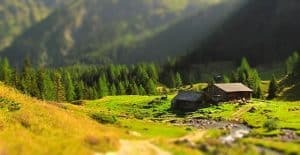 So, you need food that you can put in your Bug Out Bag and forget about it. Okay – you shouldn’t completely forget about it. Ideally your Bug Out Bag food will have a shelf life of at least 6 months and you will rotate it before it goes bad. What foods do you have in your Bug Out Bag? Let us know in the comments. Tarp or Tent for Your Survival Bag? BOOST & ENSURE meal replacements are my go-to when anything interferes with regular meals (such as dental freezing). They go on sale regularly, buy the flavours you like (I really dislike the “chocolate”). No, a carton of 6 will not get you thru 3 days. I add foil packs of tuna, salmon, chicken, cans of sardines in spring water or oil, crackers, jam + peanut butter in individual serving packs. A can of DR PEPPER per day more as a psychological boost than anything. Apples will keep for months in my BOB. Almonds & cashews. A 3″ tall can of Pringles. My room mate eats very differently than I do, so she packs what she likes.